If you are interested in becoming a Volunteer at the Sacramento Zoo for 2019 please fill out an application online to be considered. Applications are being accepted through January 3rd for our January 5th orientation. Once you apply, you will be contacted for an interview. For more information please visit our website; www.saczoo.org/volunteer or email our volunteer coordinator, Phillip Drobnicki; pdrobnicki@saczoo.org Looking forward to working with you! Through a partnership with Sacramento Food Bank and Family Services, the Hart Center offers a monthly food distribution program called Hart’s Healthy Pantry to low-income seniors. Volunteers are needed the 3rd Wednesday of each month from 10:30 am to 1 pm. Next dates needed: Jan 16, 2019 and Feb 20th. Volunteers must be able-bodied and comfortable working outside under an awning on the patio. Volunteers need to be able to lift 30-40 pounds. Volunteers will be helping to distribute pre-packed boxs of groceries that include foods such as milk, cereal grains, cheese, juice, canned meat, peanut butter, plus fresh fruit, vegetables and bread. Please contact lwarren@cityofsacramento.org (916) 808-1457and /or sstewart@cityofsacramento.org (916) 808-3814 for more information and to volunteer. Martin Luther King Jr. Weekend of Service - Volunteers are needed to help with winter pruning at the Natomas Rose Garden, 2921 Truxel Road (next to the South Natomas Library), Sacramento 95833. Volunteers will ready the garden for the winter on Saturday, January 19, 2019. Volunteers should wear gloves and thorn-resistant clothing. Please bring loppers (large pruners) if available. Volunteers under 14 must be accompanied by parent/guardian. To volunteer, please contact Marni at legem2015@gmail.com. If you love to garden and want extra space to expand your creativity, consider becoming an Adopt A Plot volunteer for the Historic City Cemetery. Some gardening knowledge is helpful and there are a few rules to follow, but all beautification efforts are appreciated. Contact City Cemetery Staff at (916) 808-5621 or (916) 825-9633 MCrose@cityofsacramento.org if interested. 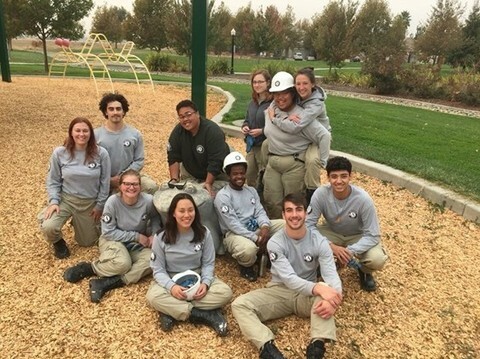 AmeriCorps National Civilian Community Corps (NCCC) team, Gold 4, is serving with the City of Sacramento and Lutheran Social Services (LSS) from November 6th until December 19th. Gold 4 consists of eleven young adults from across the United States who will serve together for ten months. Learn how to prune roses at our Annual Prune-A-Thon, and give them winter care! Yes this is the rose garden shown in the movie "Lady Bird!" Located at the corner of 33rd and H Streets, and overseen by the nonprofit Friends of East Sacramento, we welcome volunteers of all ages, all 12 months of the year. Our 1.5-acre garden has 1,200 roses and eight perennial beds. We will have volunteer opportunities every Saturday in January, starting off with our Annual Prune-A-Thone on January 5th from 9 am until 1 pm. On this special day, open to the public, we will even provide a hot lunch! Come join us and learn how to prune roses and other things needed for their winter care! We will also have trainers available on all Saturdays in January from 9 am until noon to make sure the pruning is accomplished and that all the rose beds have been cleaned up. Our camellia trees will be in bloom and all fallen blossoms will need to be picked up too. You can even pull weeds if you want! There's always a lot to do at the Rose Garden in January! We do have some supplies we loan out on a first-come, first-served basis. If you can bring your own garden gloves, buckets. trowels, or bypass clippers, please do, and we recommend wearing a hat or visor, and closed-toed shoes are a must! Dress warm, it will probably be cold! Any minors attending the events will need to bring a signed volunteer waiver form. In 2019 there will be opportunities for individual volunteer orientations. Once trained, you can come volunteer on your own schedule. For more information, or to get the volunteer waiver form, please contact friendsofeastsac@aol.com. Hope to see you soon to help us keep the McKinley Rose Garden healthy, beautiful and movie worthy! Volunteer with Access Leisure and Paralympic Sports to enhance life experience of people with disabilities. Access Leisure, a program of the City of Sacramento Department of Youth, Parks and Community Enrichment, provides sports, residential camping and outdoor education as well as social and fitness programs for children, teens, and adults with disabilities. If you would like to work a particular program below, please call in or email your availability. Send an email to Michelle Tabarango at Mtabarango@cityofsacramento.org. In social programs: you will be working with youth and adults with intellectual and cognitive disabilities. The most important job our volunteers have is to interact positively and socialize with participants in activities so that they and you will have fun. In the sports programs, you will be working with youth and or adults with physical disabilities, so lifting and transferring may be needed. Minimum age to volunteer is 14 for sports activities and 16 for social activities. Volunteer Responsibilities: Interact in a positive manner with the participants; assist in activities with the participants as necessary. Assist set up and clean up after. Come and celebrate the New Year while enjoying an evening of bingo with friends. You will help set up, greet and socialize with participants, help serve dinner, clean up, but most importantly, have a great time. We will need your help with facilitating the athletes in Wheelchair Rugby. You will learn the rules and may be asked to participate in a wheelchair with the athletes. Come and enjoy a day out to the movies and lunch with friends. Several food choices available in the market place venue. Your admission to the movies will be paid for, however you will need to bring extra money for your lunch and movie snacks if you would like them. We will need your help with facilitating the athletes for Goalball. This sport is designed for athletes with visual impairment. You will learn the rules and may be asked to participate with the athletes while wearing an eye mask. A football game honoring our fallen officers and paying tribute to our firefighters. Be sure to bring a warm jacket, and money for food. We will pay for your ticket to enter. Spend the day helping with our athletes and tournament. Duties will vary depending on what is needed for that day. A little painting with some great non-alcoholic beverages. We will need your assistance in setting up for our participants and helping them along the way. Volunteers must contact Access Leisure and fill out a volunteer form before coming to an event. Please contact Michelle Tabarango at 916-808-1205 or mtabarango@cityofsacramento.org. Your gateway to youth internships, scholarships, jobs, and more! Come out to an orientation to find out more about the Youth Action Corps of District 1. Orientation will take place at North Natomas Library Community Room on January 17th. For more info, visit: https://www.angeliqueashby.com/youth. The Camp Fire in Paradise and the surrounding area has caused widespread devastation and left many without a home. 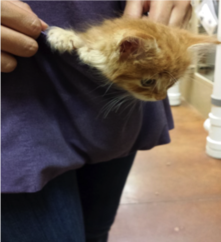 For resources and ways to help visit: https://buttecountyrecovers.org Locally, Hands on Superior California is coordinating volunteers for animal evacuation shelters in Oroville. 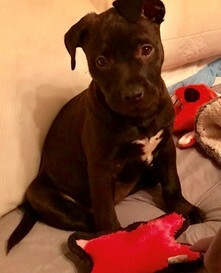 Click Richvale Shelter or Oroville Shelter for details. Volunteer registration for the 2019 Homeless Point-In-Time (PIT) Count is now open. The count will be conducted on the evenings of January 30 – 31, 2019 by volunteers under the direction of Sacramento Steps Forward and Sacramento State. Sacramento Steps Forward will be recruiting hundreds of volunteers who will be trained and grouped in teams to canvass the community in organized deployments during the two evening counts, rain or shine. 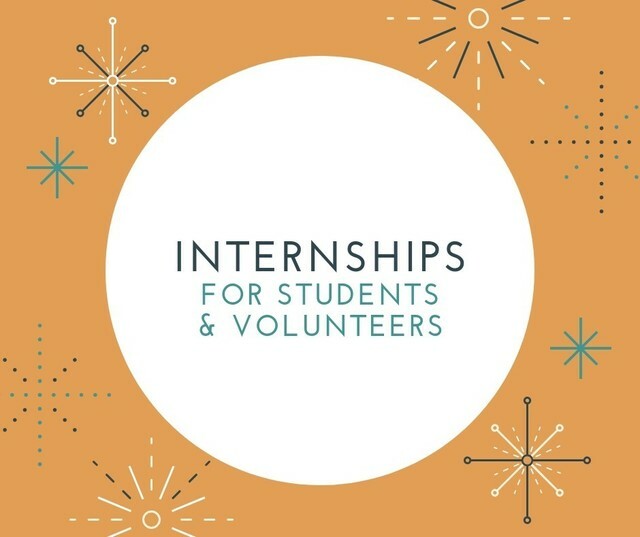 Volunteering does not require any prior experience, but you must: be 18 years of age or older; have a strong interest in helping people who are experiencing homelessness; and attend required trainings to learn to safely conduct accurate counts with teams within carefully pre- mapped territories. Volunteers should register here: https://www.surveymonkey.com/r/WLV8VVT. If you would like to form a group of coworkers, family or friends, Sacramento Steps Forward will accommodate your requests. More information will be provided to registered volunteers as we prepare for the event. Your help is needed! Together we can make sure that working families throughout Sacramento are able to keep their hard-earned money. The Volunteer Income Tax Assistance Program (VITA) helps bring back millions of dollars to working families in our community by providing free tax assistance for low and moderate income households. Last year, the Capital Region VITA Coalition helped keep more than $6 million in the pockets of residents by coordinating the VITA program. This success is only possible through a dedicated volunteer base. 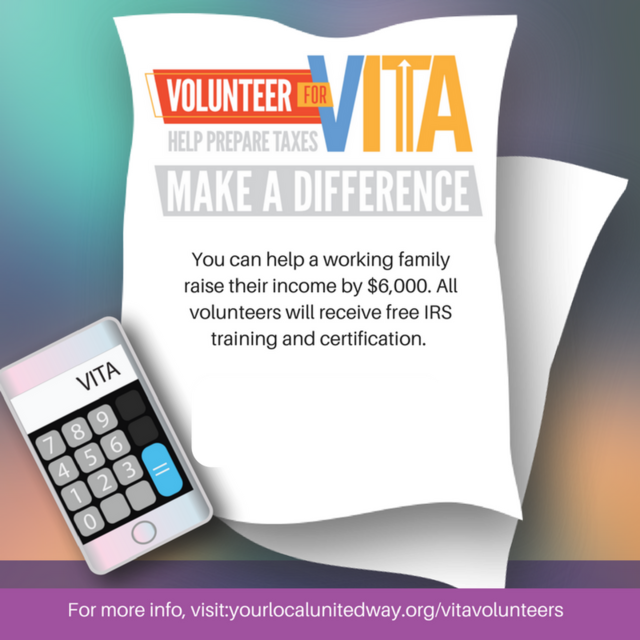 In 2017, the Capital Region VITA Coalition trained and certified nearly 270 volunteers and surpassed all tax season expectations, but still fell short serving all the Sacramento families that needed VITA services. We simply need more volunteers. Please tell your friends, neighbors, family members, and co-workers that we need them to volunteer, too! Individuals, organizations, or businesses are invited to volunteer to help maintain sections of roadside within California's State Highway System. Groups have the option to participate as volunteers or to hire a maintenance service provider to perform the work on their behalf. Litter cleanup is a monumental task for one group or one state agency to tackle alone so we need your help! Visit the website http://www.dot.ca.gov/maintenance/adopt-a-highway/index.html Contact District 3 AAH Coordinator Michael Geraghty at (530) 741-4187 or email Michael.geraghty@dot.ca.gov to get involved today! Don’t wish to receive these emails? Unsubscribe from all email updates from the City of Sacramento.